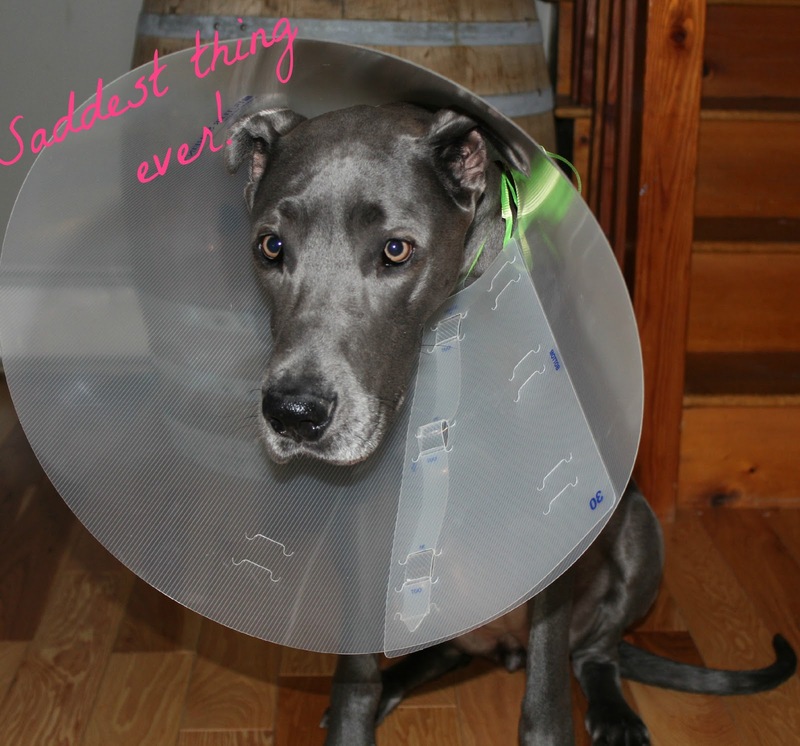 Keeping up with The Caseys: #BragAboutit and a Weekend update! #BragAboutit and a Weekend update! My mom had surgery on Thursday. 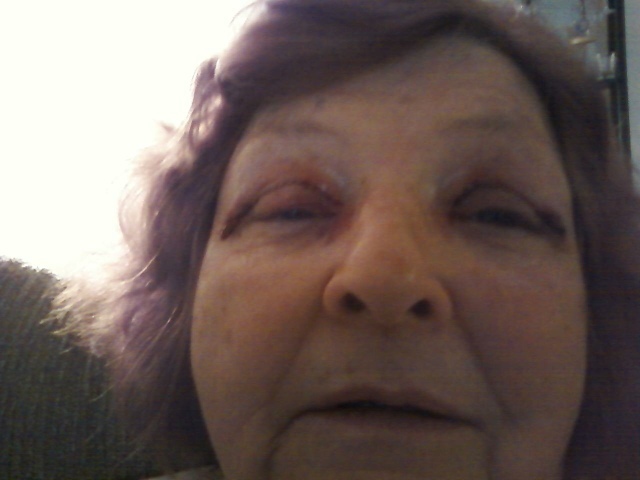 She had her eyelid fat removed. She had heybabies of the eyes. Here is a pic after the surgery, It looks worse than it is and I keep reassuring that her inner Joan Rivers will be soon be visible. Graycie also had surgery this week. She had all of her lady parts removed on Friday. She has truly been a great patient and she hasn't even been wearing the cone of shame that much. 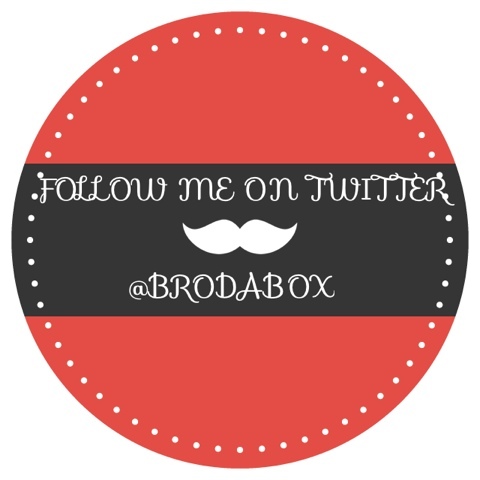 No #Bragaboutit link up today but we will be tweeting it live! So feel free to tweet out to Jenn, Mallory or myself about what ever badass, super awesome, jealously worthy thing you did this weekend! For the record, I did not gain a pound this weekend!!! Not.A.One.!!!! This is epic due to the fact that I am 4lb weekend gainer. So either A.) the exercise is starting to kick in or, 2.) eating clean has been paying off or, C.) I'm dehydrated and the poundage just hasn't shown up yet. And the hubs is going to get me coffee as we speak! You. Are. Awesome. Congrats on not gaining weight. I need a workout buddy. HAHA and my heybabies are ALSO hating on all the jackets I have. Thanks for that new term! Heybaby might be the funniest term that I've EVER heard! 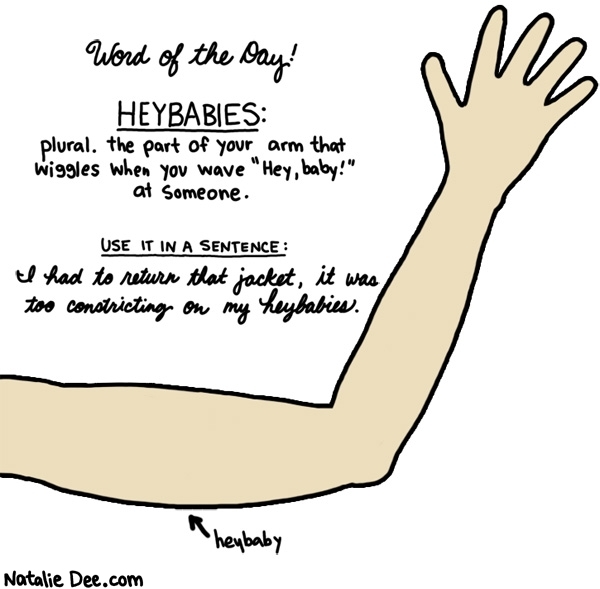 I call the "HeyBaby" the teacher arm... like when you are writing on a chalkboard, haha! I've never heard of Heybabies!! And Yay for not gaining! I'm sure I found your 4lbs somewhere along the way! Holla for no weekend poundage! That's awesome! clean eating and exercise is what's helping so yay!! i hope your moms and your dog both make a speedy recovery! ummm ow that looks unusually painful but she will be rocking those pretty eyelids soon! 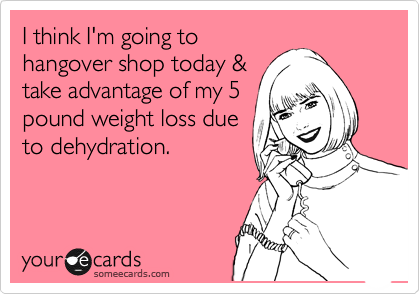 Congrats on not gaining your weekend 4lbs! I just wish I had a workout machine in my apartment but then I'd probably have no room to do anything, hehe. Hi I just stumbled across your blog and it is fabulous! Hope your mom is feeling better ... I am so excited to have the word heybaby now in my vocabulary. Can't wait to read more of your posts. Congrats on the no-gain. Eating clean makes a HUGE difference. Add that t exercise and you're on a roll! Your dog is adorable. My friend from grad school has one too (same color) and she is a great dog. They moved away to Oregon so I never seen him anymore!